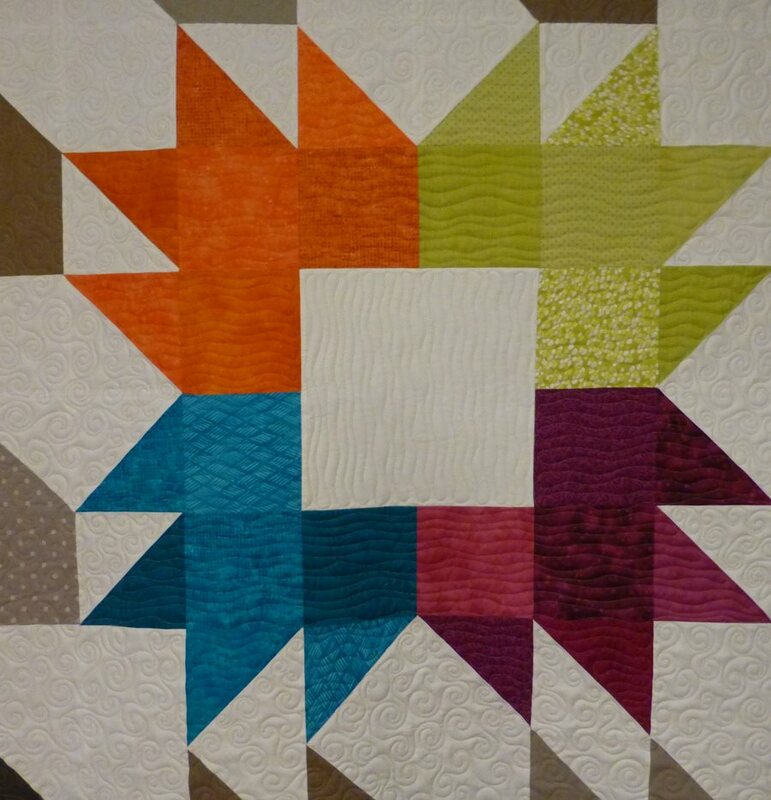 This pattern is from a new book, Vintage Quilt Revival. 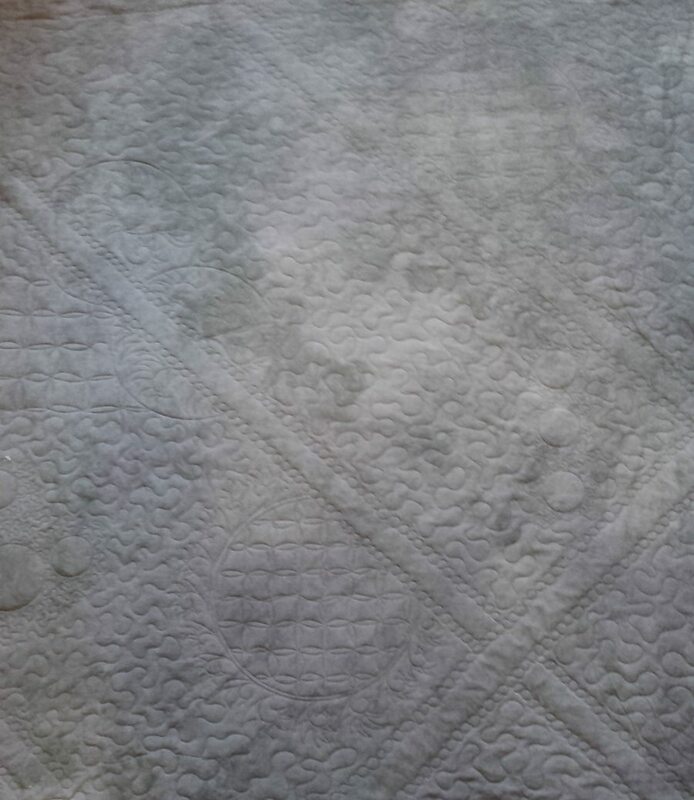 This quilter used new linen-like cotton fabrics now available in quilt shops and they are so pretty!! Great visual texture and they feel wonderful. Look for them at your local quilt shop. 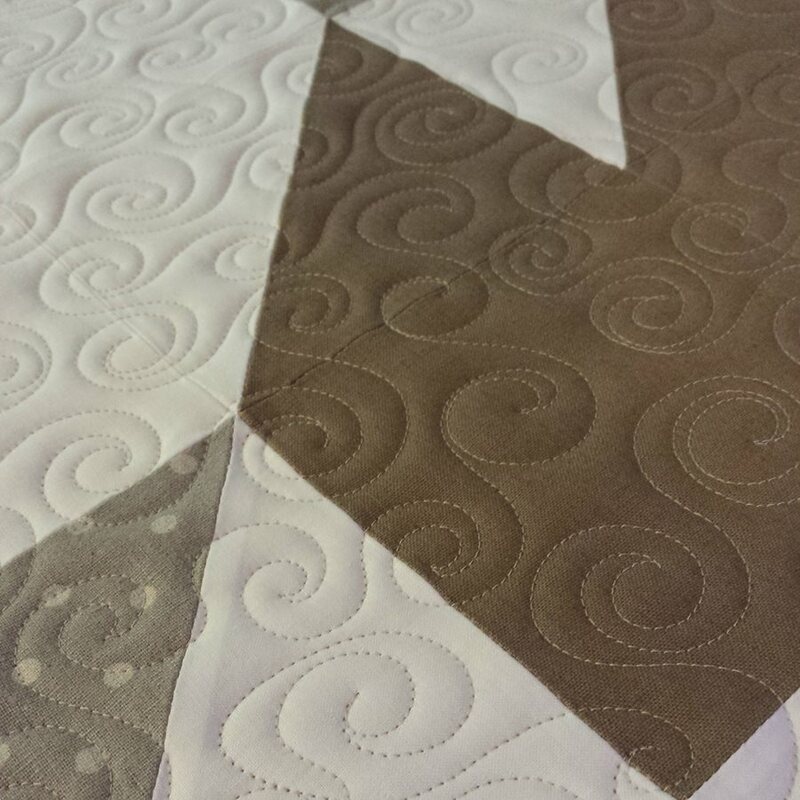 This is all hand-guided free hand quilting customized to her wishes. 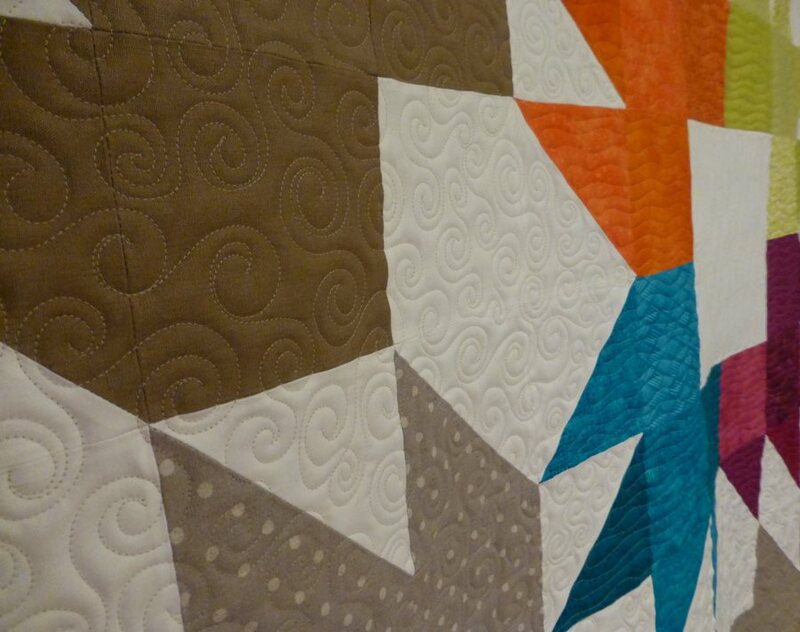 Of course, all hand-guided quilting has a touch of uniqueness to the quilter, much like hand-writing has a bit of each individual that shines out. 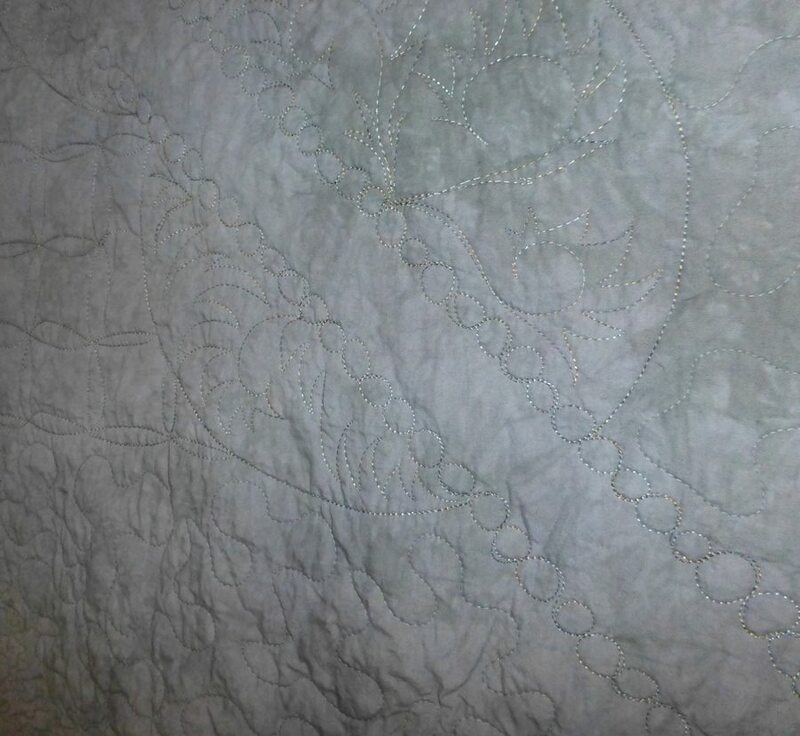 I really loved watching this quilt come to life as I quilted it. With the name, Spiced Chai, and the quilting on Monday morning, I was reminded of a warm mug of hot cocoa… and had one for a snack later! 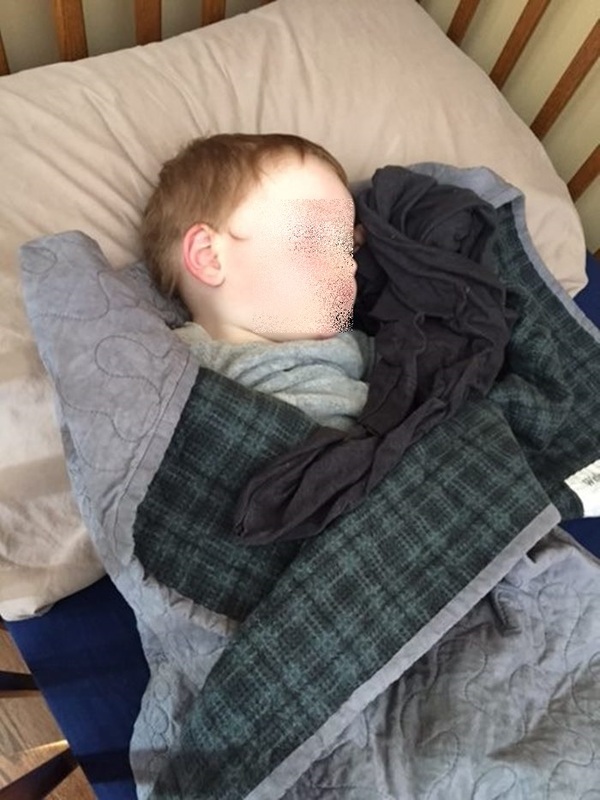 My great-niece saw some photos of this quilt and just couldn’t choose which color in this area she liked best! 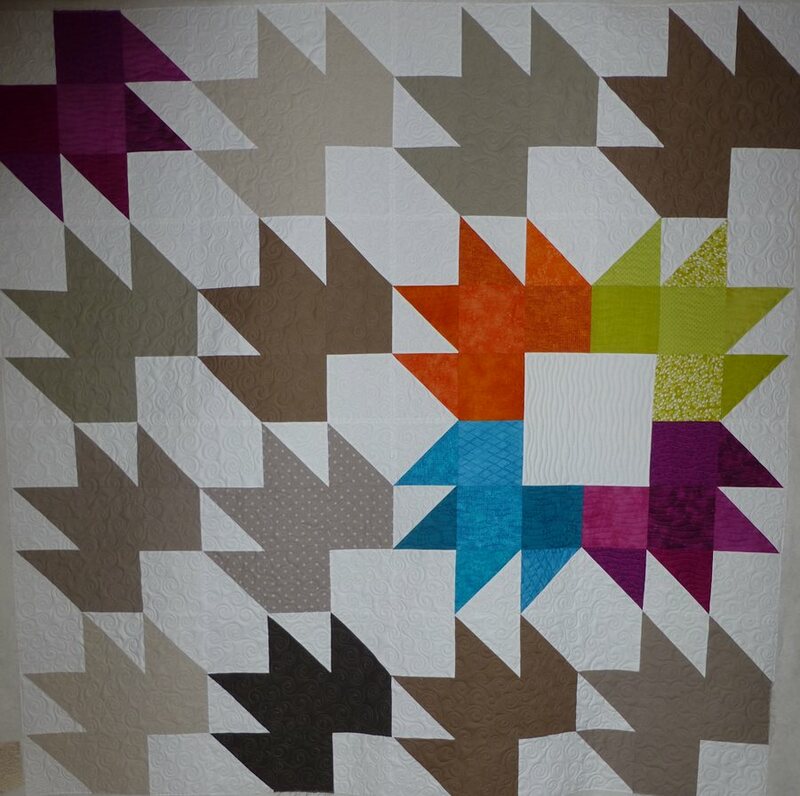 The blocks are 15″ and the quilt is 60″ square. Lovely, simple, modern. This pattern would be so unique to you depending on your fabrics.